As a homeowner, you are well aware of the importance of the trees on your property. The trees serve many functions for you, including helping to enhance the overall look of your home and property and increase their value. Naturally, you want to do all you can to preserve the health of the trees not only so it can benefit your property, but the environment and air around you as well. People often forget that the trees around them play a vital role in the quality of their immediate environment and maintaining healthy trees goes a long way into making everything around you healthier. To keep the trees at their best, it can make a big difference if you get the help of a professional tree service in Hidden Hills like ours at Your Way Tree Service, Inc.
With the wide-varying weather patterns that we often see here in this part of California, caring for your trees properly can be a real challenge. As we go through different times of drought and heavy rainfall and the wind, these weather patterns can cause havoc among the trees you have on your property. There may be times where your trees need extra care to stay healthy so they can recover properly from storm damage. There may also be times here your property gets overcrowded from dense growth, causing problems with the root systems of the trees and making it harder for them to survive. In both cases, our service can come to help you by providing proper care, medicines, tree trimming and other services. As a quality tree service in Hidden Hills, it is our job at Your Way Tree Service Inc. to be there to help with any and all of the needs you may have with the trees on your property. We can provide you with assistance in every part of the tree life cycle, from assisting you in preparing the soil and fertilizing, to helping you plant new trees to trimming and health services to keep the trees flourishing to tree removal when the lifespan has run its course. With the help of our tree service in Hidden Hills, you can have trees on your property that look great, stay healthy and contribute a great deal to your environment. 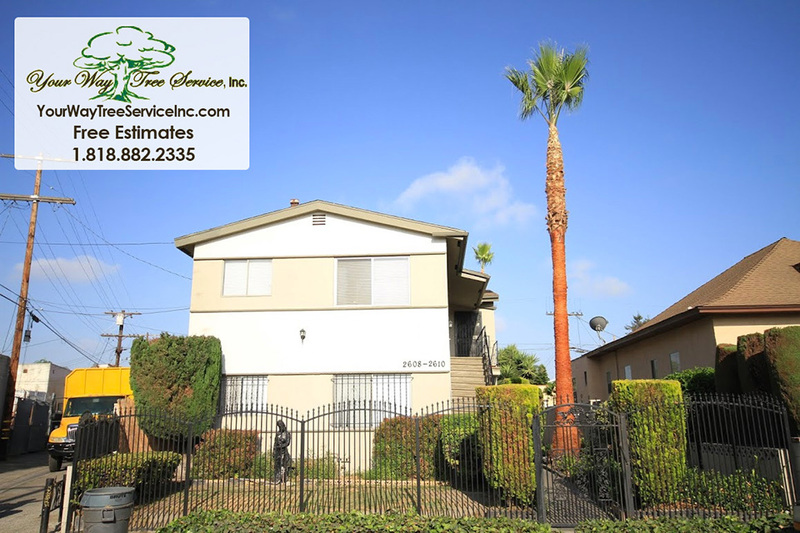 Give us a call at Your Way Tree Service Inc at 818-882-2335 so you can set up an appointment for one of our experts to come to your home, look over your trees and let you know what we can do to help your property look its best and your trees thrive.